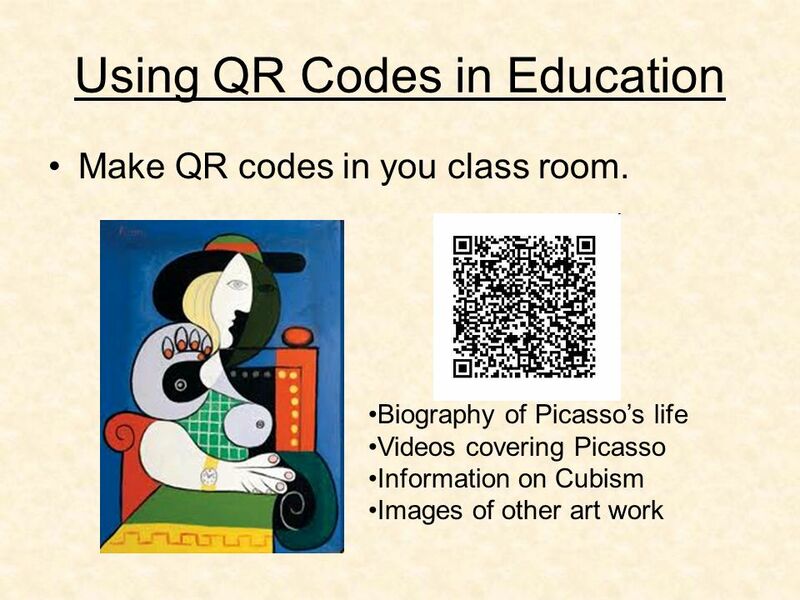 Using QR Codes For Education By: Michael Rinchiuso. 2 What Are QR Codes? 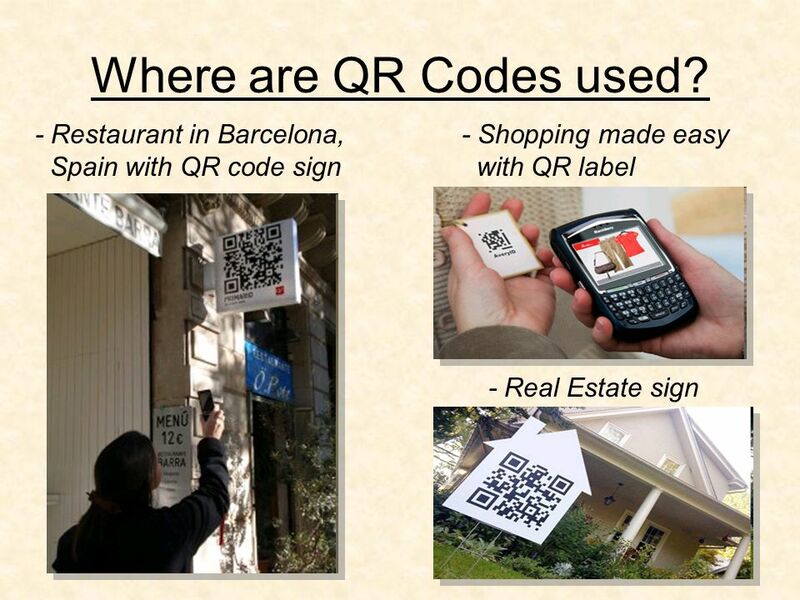 QR stands for Quick Response Used to receive addition information about something, through scanning an label. Most commonly used with smartphones. 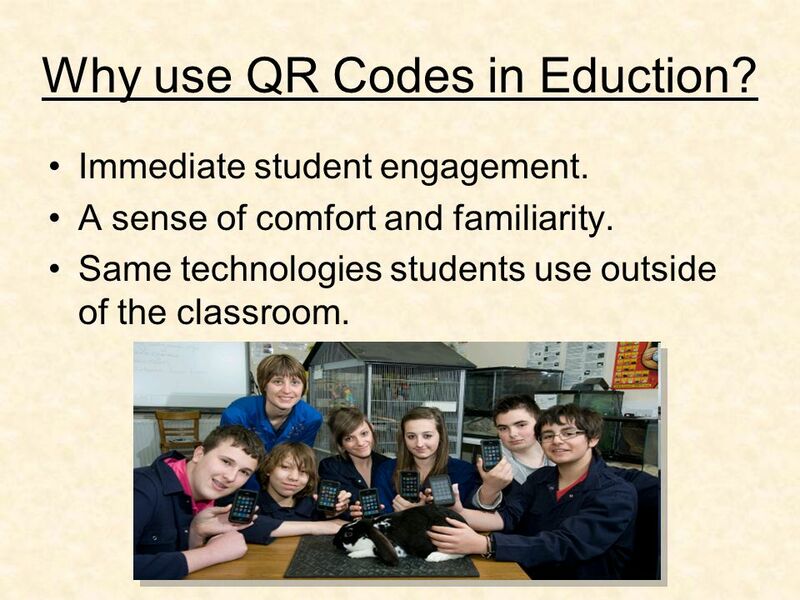 7 Why use QR Codes in Eduction? Immediate student engagement. A sense of comfort and familiarity. Same technologies students use outside of the classroom. 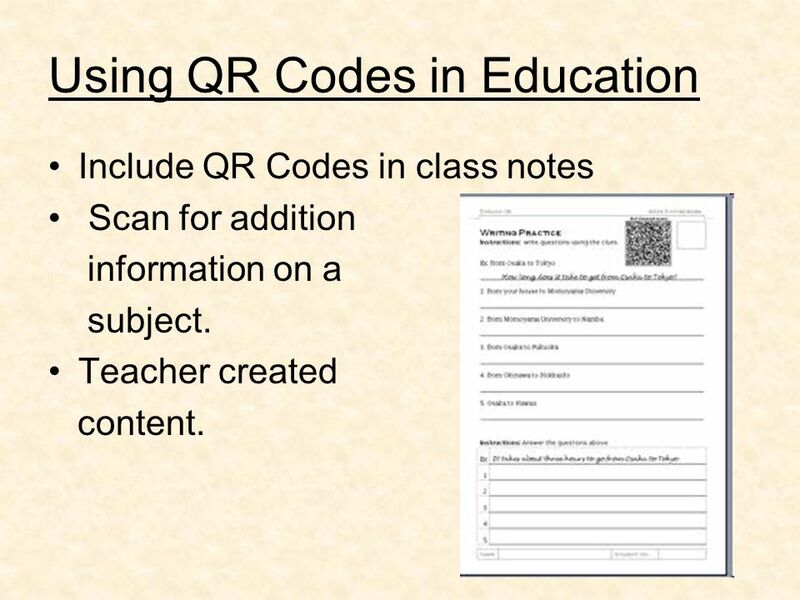 9 Using QR Codes in Education Include QR Codes in class notes Scan for addition information on a subject. Teacher created content. 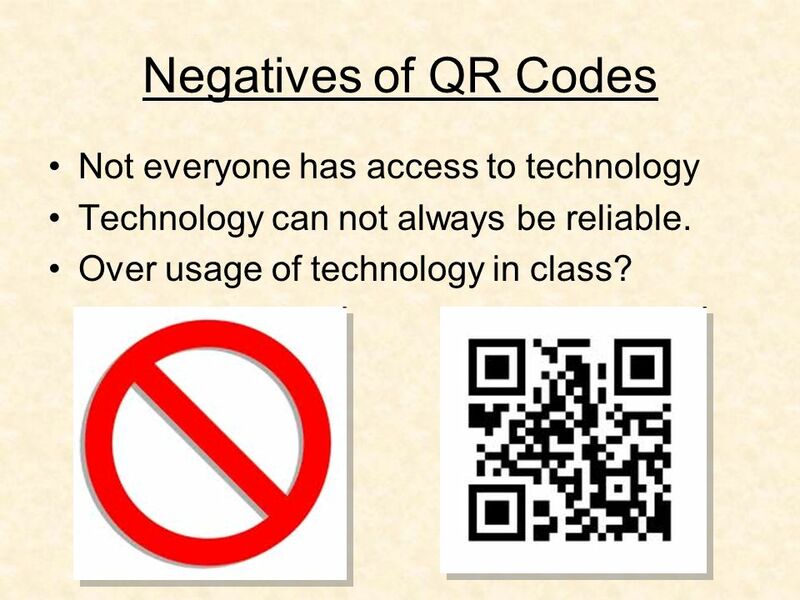 10 Negatives of QR Codes Not everyone has access to technology Technology can not always be reliable. Over usage of technology in class? 11 Conclusion QR codes are an exiting new technology. Many possibilities Can enhance Classroom learning Should be a considered tool in the classroom. 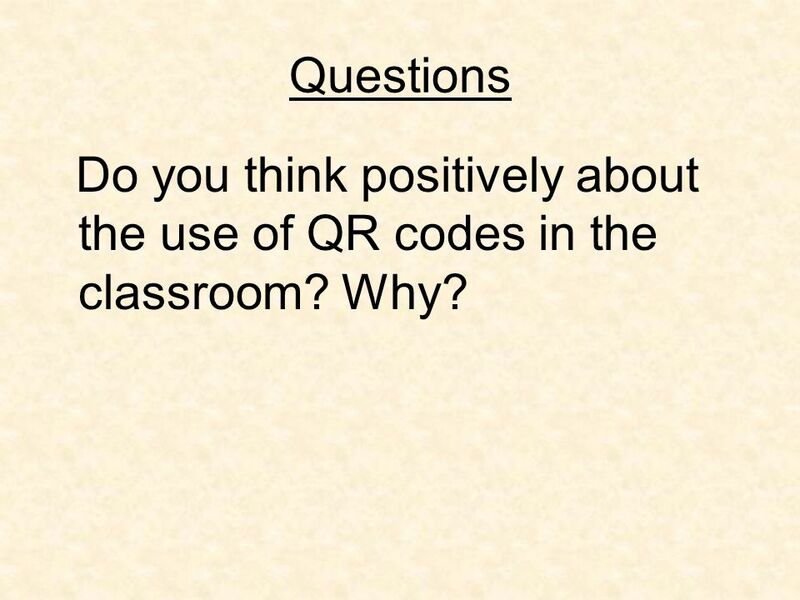 12 Questions Do you think positively about the use of QR codes in the classroom? Why? 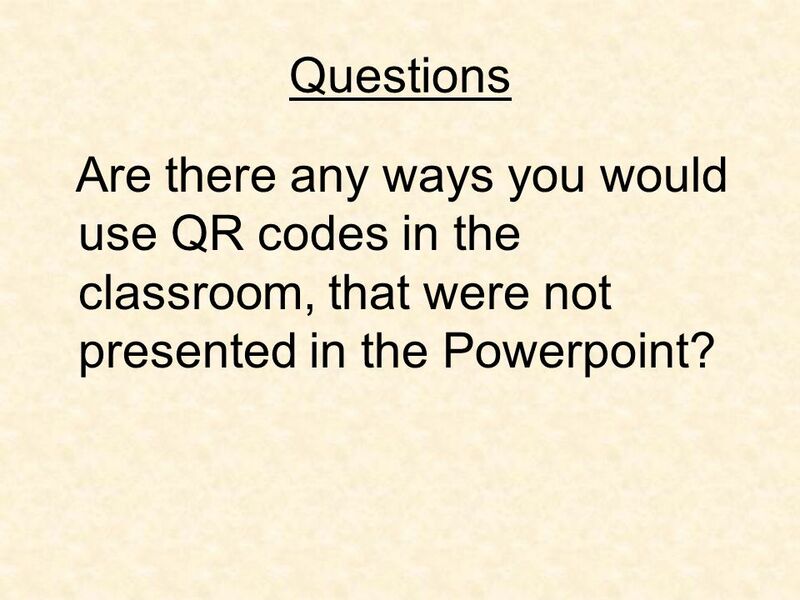 13 Questions Are there any ways you would use QR codes in the classroom, that were not presented in the Powerpoint? 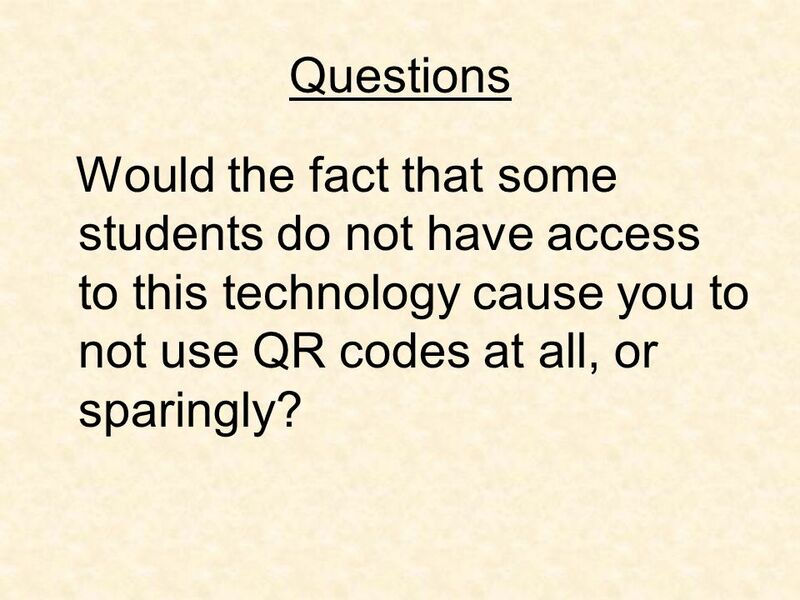 14 Questions Would the fact that some students do not have access to this technology cause you to not use QR codes at all, or sparingly? 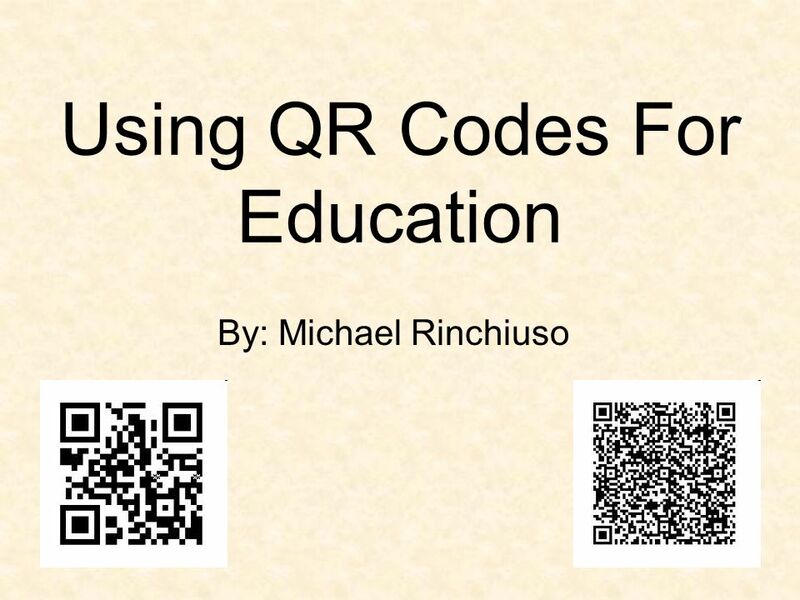 Download ppt "Using QR Codes For Education By: Michael Rinchiuso." QR Code Quick Response Code. Definition A QR Code is a matrix code (or two- dimensional bar code) created by Japanese corporation Denso-Wave in 1994. QR Codes Real-world links or hardlinks Real-world links or hardlinks. 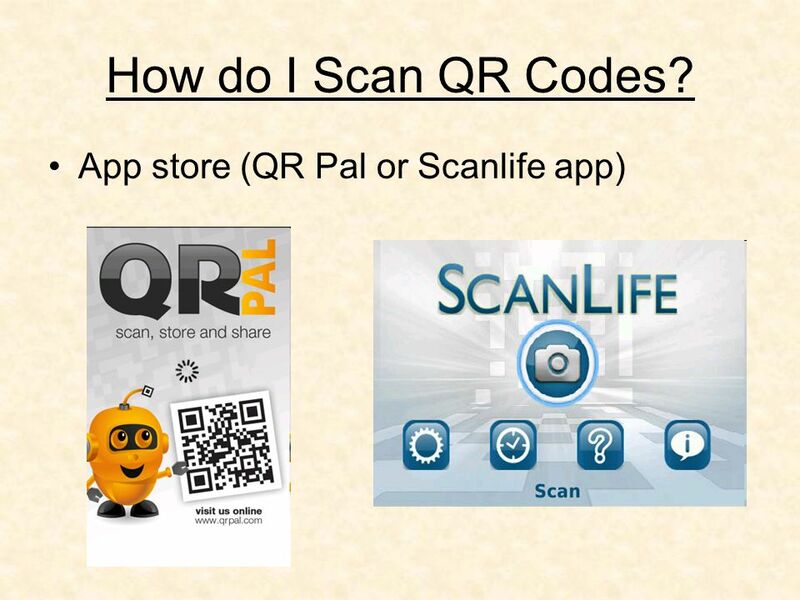 QR Codes (Quick Response) How to generate and use in the classroom! 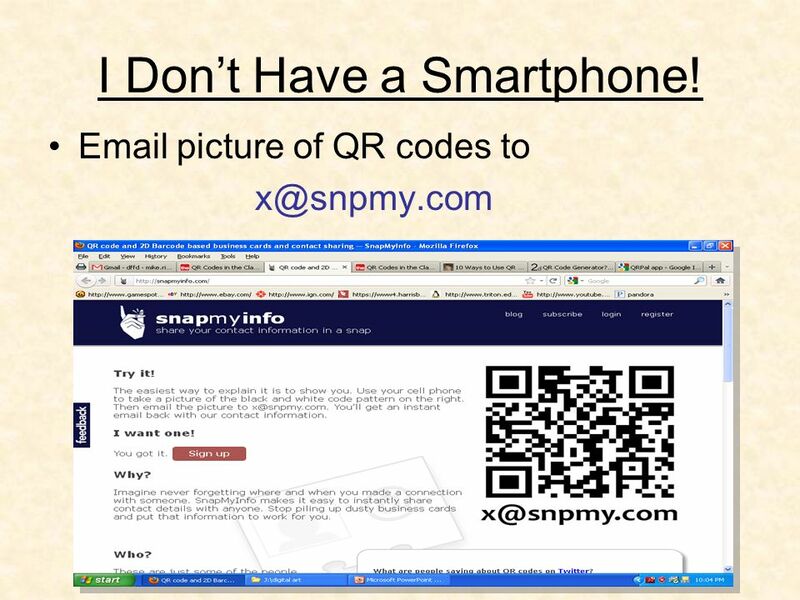 + QR Codes in the Classroom Carol Mayer Wayne RESA. Stand Out From The Crowd Direct Non-Web Traffic To Mobile Traffic Using QR Codes Copyright © All Rights Reserved. Joshua Geary, Principal Best Online. How Does the Internet Work? A Basic Introduction to the Worlds Biggest Computer Network. 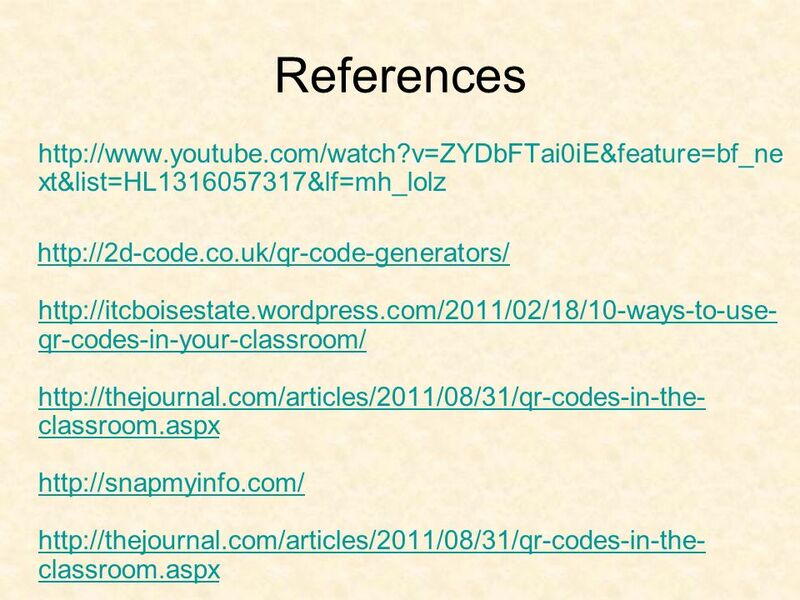 Mrs. Scala Mr. Hershberger content/uploads/2013/11/socialnetworking.png. Bring Your Own Device Initiative Ms. Gullos Third Grade Class. Developing for the Sitefinity Marketplace Stanislav Padarev Telerik Corporation Sitefinity Solutions Consultant. Creating a Mobile Strategy Kelly October 18, 2011 Mobile marketing is no longer something companies need to try – it's something they. HOW TECHNOLOGY TOOLS ARE CHANGING TEACHING AND LEARNING By: Mary OConnell The Teachers Lounge St. Louis, MO. 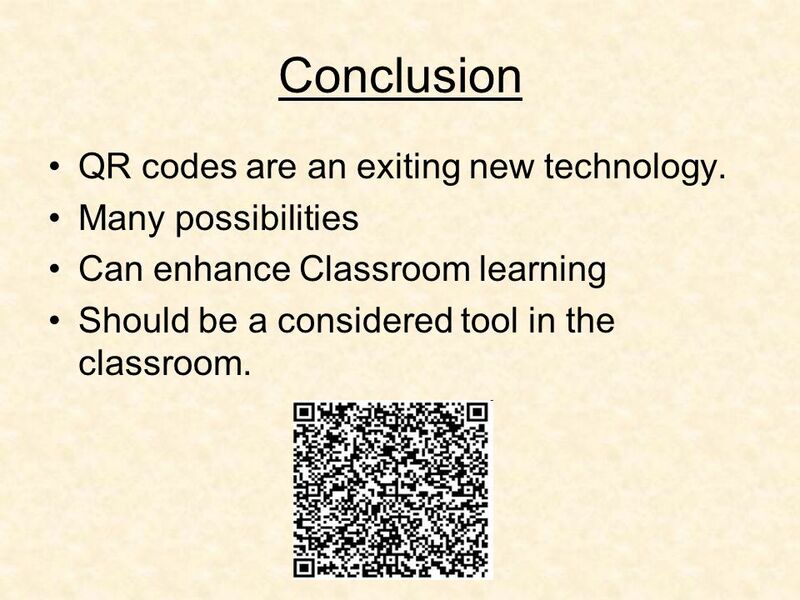 QR Codes in Education. What is a QR code? 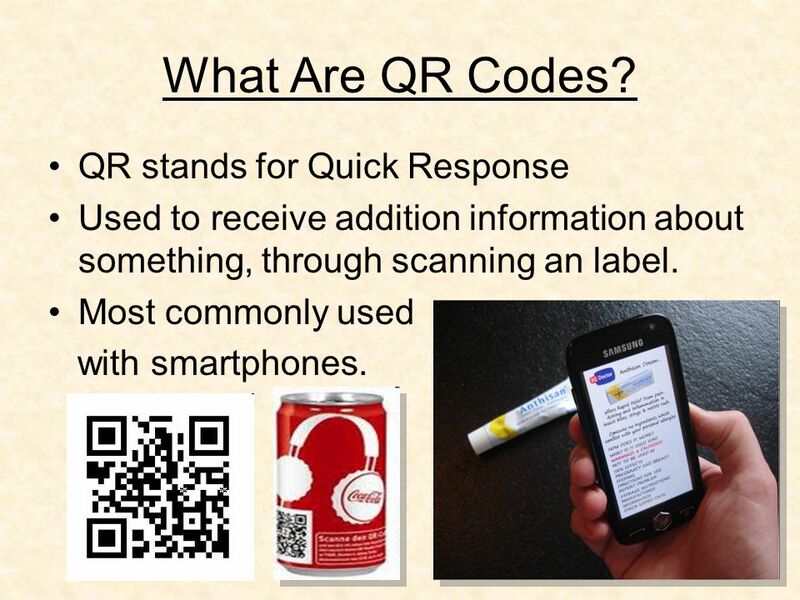 A Quick Response Code is a digital image that can be readily scanned by smartphone users for free via one of.  QR stands for Quick Response. ◦ It is a Matrix or Two Dimensional Bar Code  It is a more Advanced Bar Code System  QR Codes can be used in the following.  What is a QR Code?  How can I create and read a QR Code? 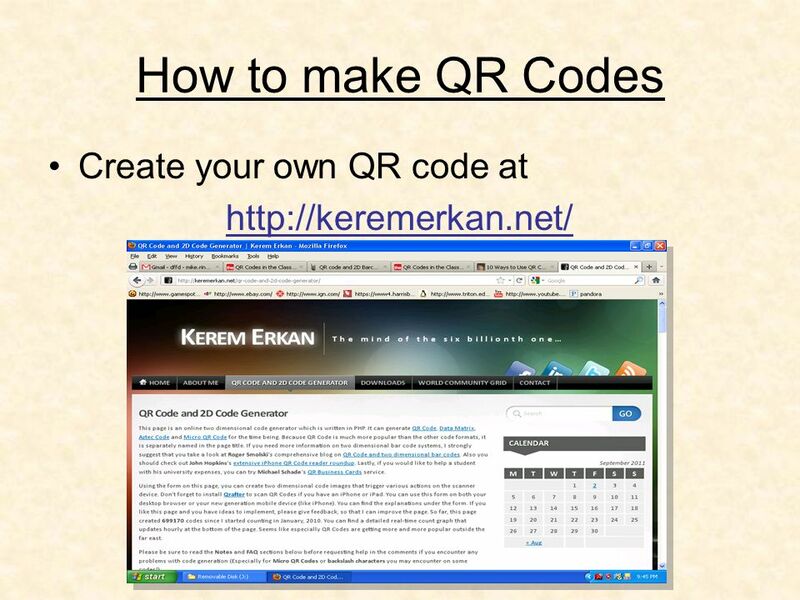  How can I use a QR Code in my classroom? By: Caitlin Harbison. Being QR-ious Engaging Curiosity Using QR Codes in the Library Anne Bozievich Lynn Clements Wendy Fitzgerald. WIKI What is a wiki and why it’s important?!. WIKI What is a wiki and why it’s important? !